Providing energy for our nation’s future is a growing challenge, and smart HVAC technology is an important response to this challenge. New construction is able to incorporate energy-saving systems right from the ground up, while older homes can undergo retrofitting with smart heating and cooling systems in order to meet evolving efficiency standards. How do smart HVAC systems work? The central element in a smart HVAC system is the sensor, which is a sophisticated mechanism capable of taking readings of the temperature and humidity in its environment. These sensors communicate wirelessly with the actual controls of the heating and cooling systems, and they are also networked with apps that allow them to continually stay in touch with the owner. Smart metering systems can monitor your home’s energy usage, and can raise and lower window coverings or activate fans and ventilation units as needed. The element that makes them “smart” is that the different components that contribute to a home’s heating and cooling are networked together, so that they interact with each other. 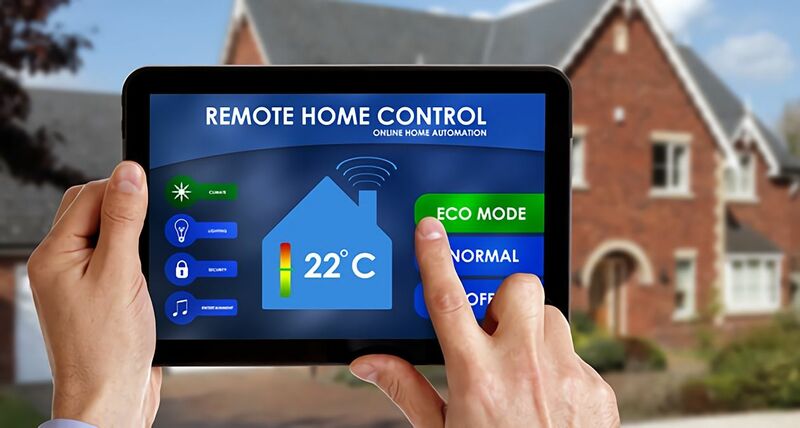 Furthermore, a smart home system can be controlled at a distance by means of the Internet on a phone, tablet, or computer. The owner may be out of the house all day long, but set the heat to come on half an hour before he or she arrives home. To learn more about smart HVAC systems, and decide if HVAC certification will lead to a career that interests you, check out this detailed HVAC Ideas page. Why is smart home technology important? Regulations: The Department of Energy continues to increase its required efficiency standards for heating and cooling homes. These standards are backed by solid enforcement and the regulations take into account the newest possible technology when they are set. TriplePundit points out that since U.S. regulations are scheduled to become even stricter in 2015, it is increasingly necessary to have a smart HVAC system in place. In future years, the only way to satisfy building codes will be to install heating and cooling sensors that automate performance and communicate maintenance needs. Energy efficiency: Although the U.S. is experiencing a current surge of energy availability, due to domestic oil shale production, there is a deep need for environmentally clean heating and cooling systems. Smart HVAC technology reduces the amount of fossil fuels needed to keep a house running, making utility bills lower and offering the homeowner a chance to be part of the environmental solution. Home value: All homeowners want to know that the investment they put into their home today will result in higher home values tomorrow. The “internet of things” is the wave of the future, as various devices link wirelessly and transmit information to each other as well as to the person who uses them. The relationship between a homeowner and their house is undergoing change, and smart HVAC systems are at the cutting edge of this change. Studying for certification in smart HVAC systems puts you at the leading edge of technology; you may interact with exciting new startups like this one featured in TechCrunch magazine, and help build our nation’s self-sufficient future. To learn more about getting started on this exciting career, contact RSI.